I always decorate the house, but it seems more significant when our grandson comes to visit. 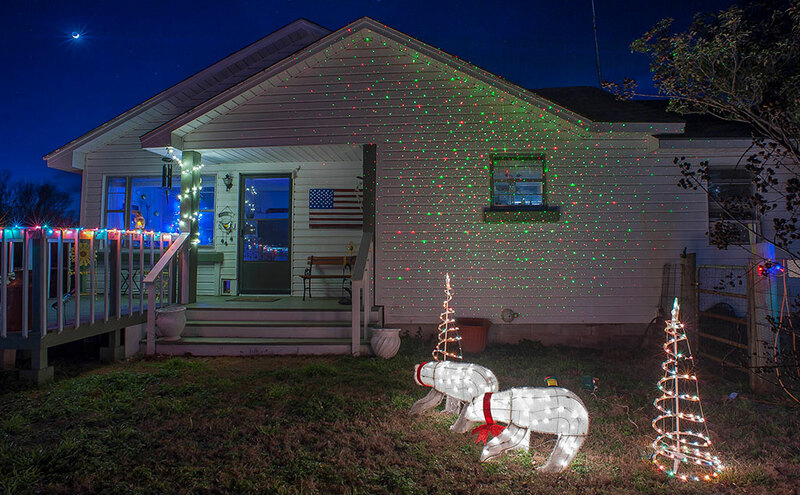 This year I was able to add a red-green laser light projector, which my sister Nicole sent me. 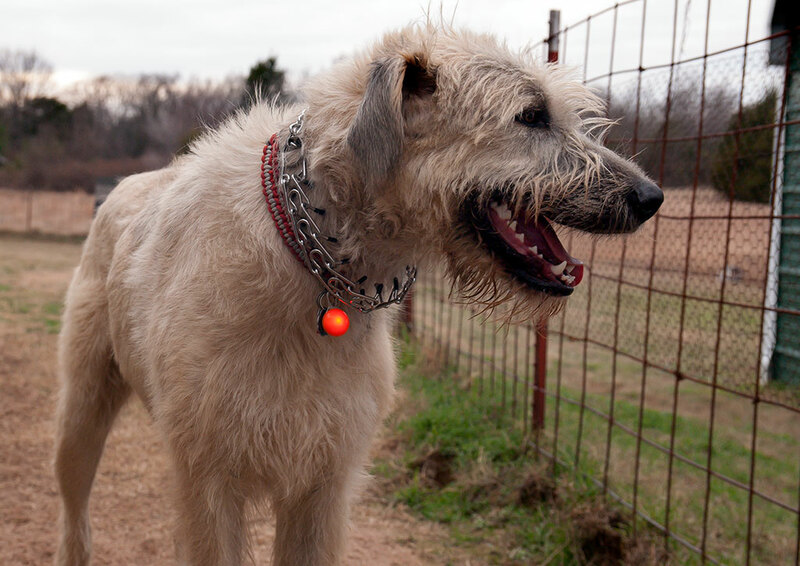 Hawken the Irish Wolfhound wears his lighted collar tag, which my sister Nicole sent. My wife Abby’s daughter Chele, her husband Tom, and our grandson Paul (collectively known as “the kids”) just left for the airport this morning after an excellent five-day visit, and the most amazing thing is how much quieter the house is now than it was yesterday. 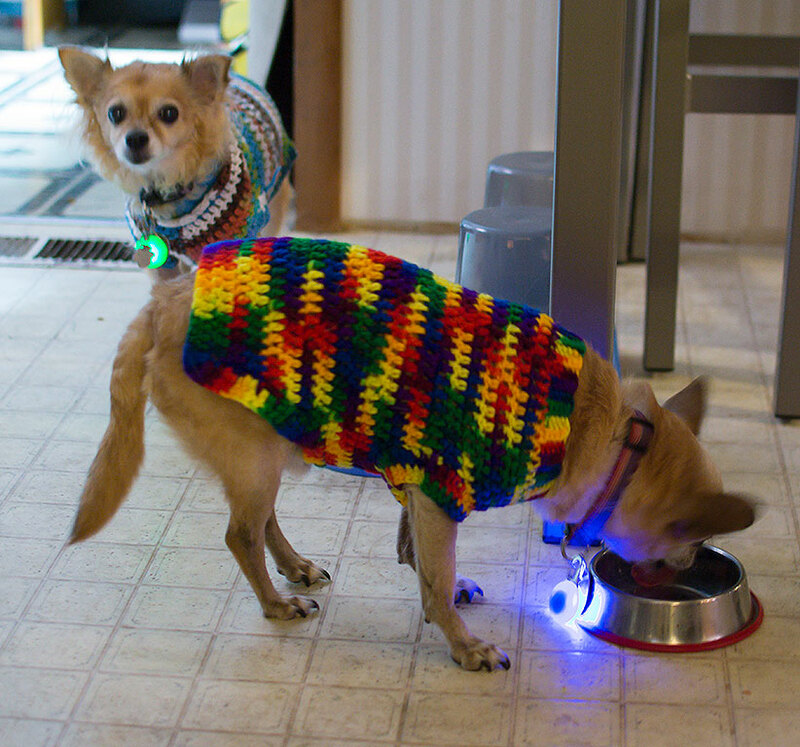 Sierra and Max also got lighted collar tags, seen here at supper time. 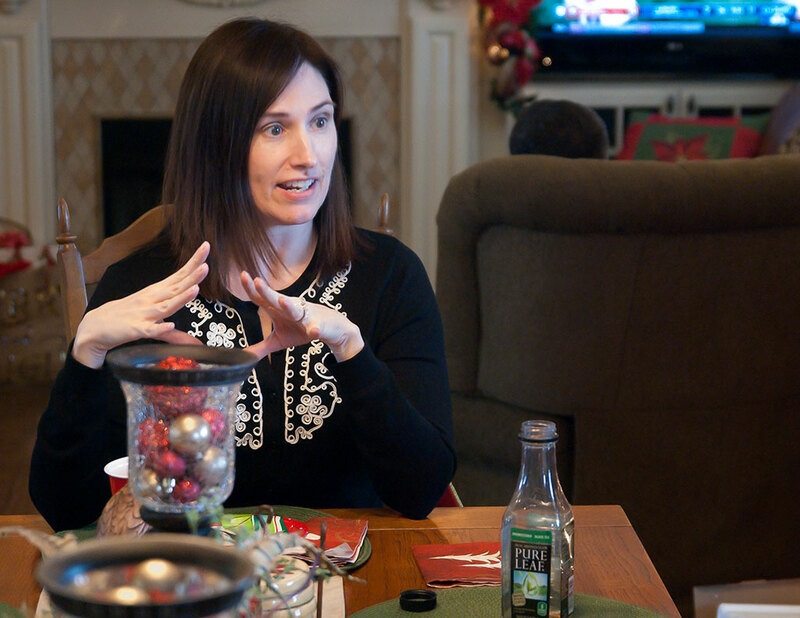 We enjoyed the time together, exchanged gifts, saw Star Wars: The Last Jedi, drove to Abby’s hometown, Ryan, Oklahoma, to see her sister, brother-in-law, and niece, and played with the dogs. 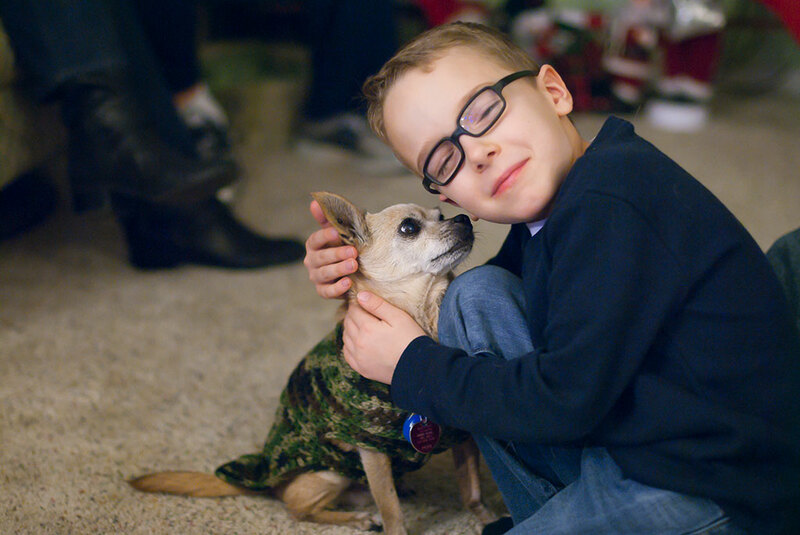 The last point is particularly salient because Paul has always bonded with the Chihuahuas, Sierra and Max, especially Max, who adopted Paul as an infant and looked after him. 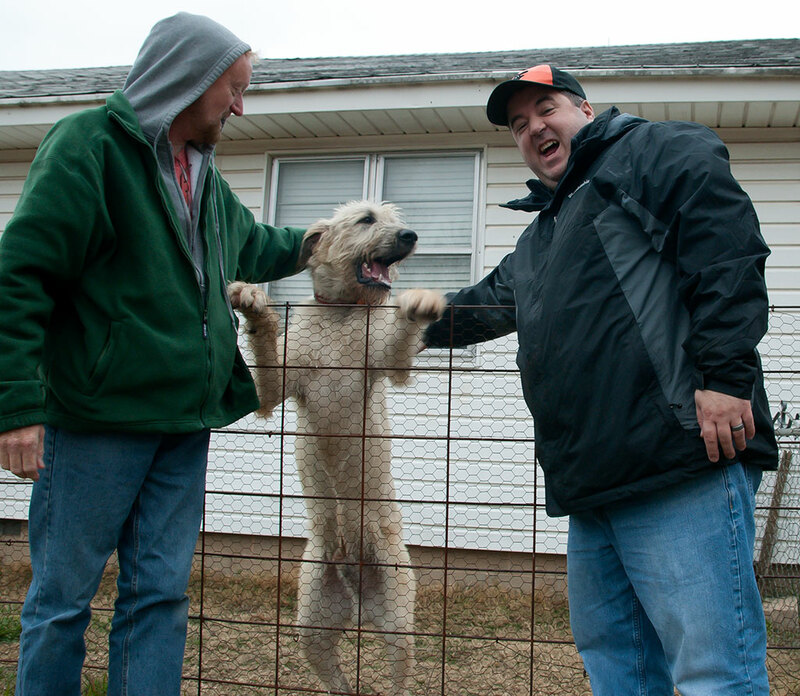 It was also fun introducing Paul to Hawken the Irish Wolfhound. Max and Paul bond on the living room floor. 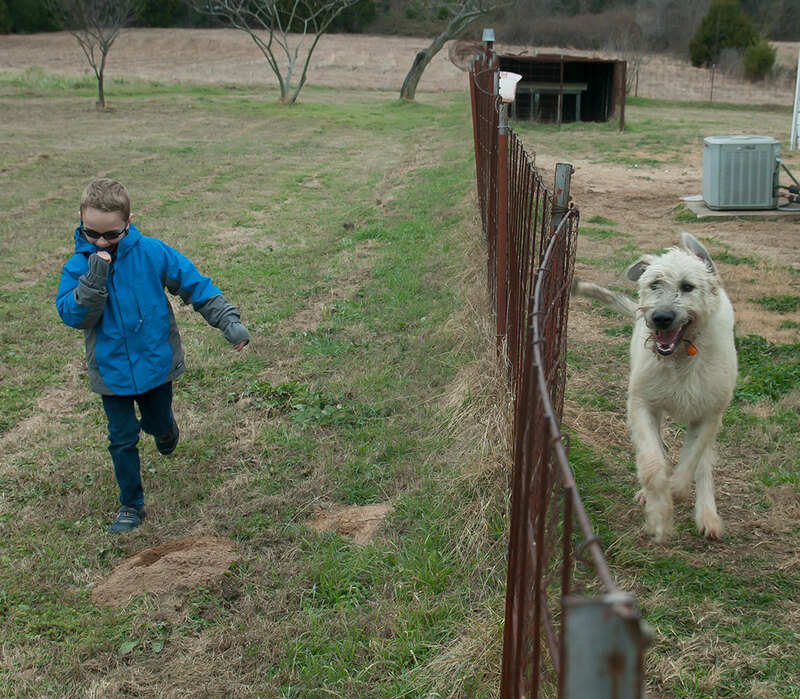 Paul and Hawken chase each other up and down the back yard fence. 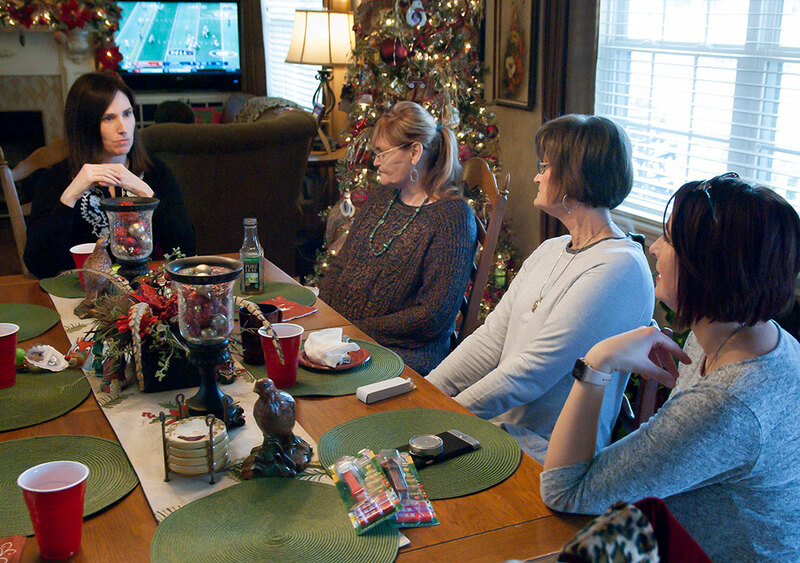 Chele, Abby, Abby’s sister Gail and Gail’s daughter Rachel chat around Gail’s table in Ryan, Oklahoma. In the background, the guys are watching football. 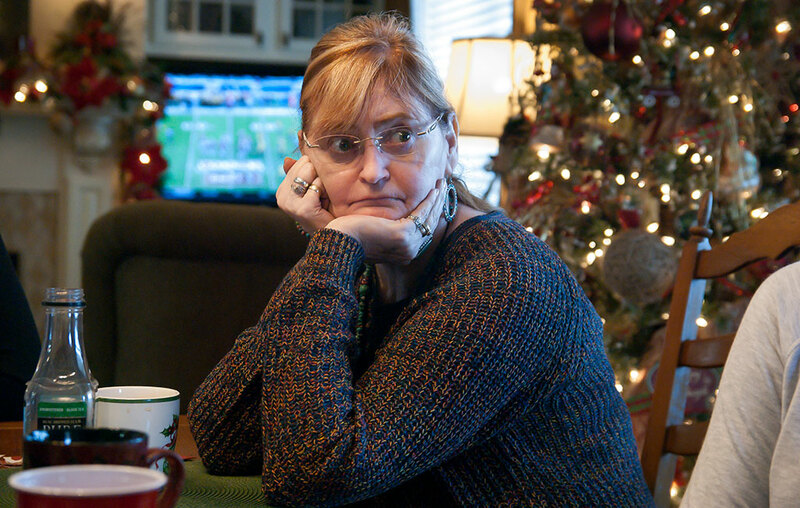 My stepdaughter Chele, whose actual name is Dawna (Chele is short for her middle name, Michele) has always been beautiful, but this year was diagnosed as diabetic, took her new treatment seriously, lost some weight and is now incredibly healthy, happy, and pretty. I know I lay down the “my wife is so cute” card often, but she is being especially cute here. 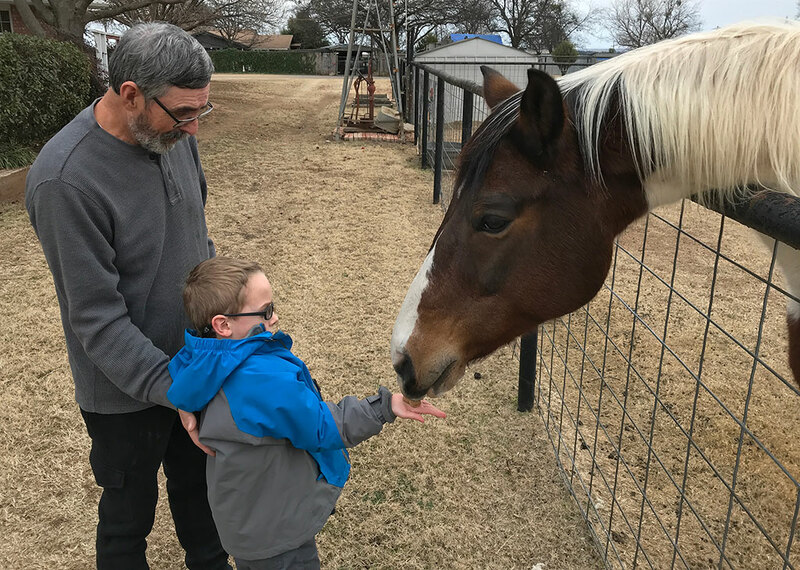 Paul feeds Abe the Horse at Steve and Gail’s house in Ryan, Oklahoma. 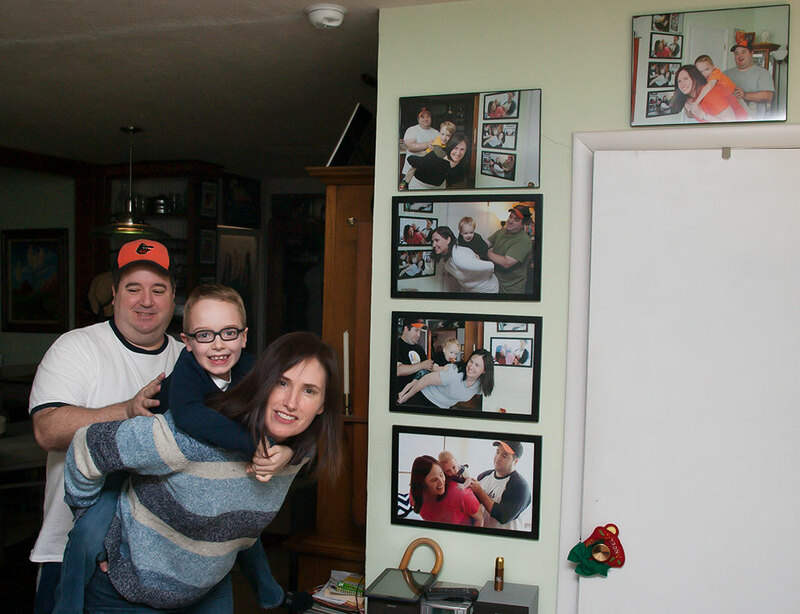 One tradition we hope to continue for many years is this image of Tom, Paul and Chele in the same pose year after year, with the prints of previous years on the wall. The first one, hanging on the wall at the bottom, was made in May 2011. 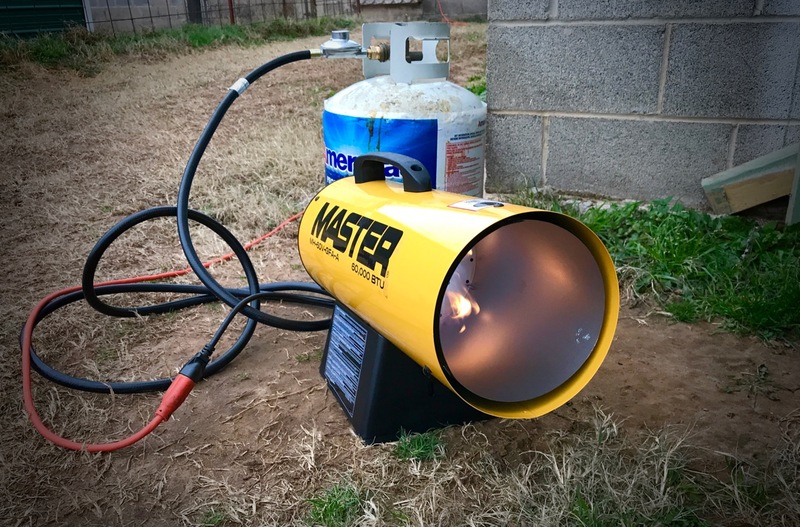 I bought this 60,000 BTU propane heater for Hawken, who is an outdoor dog. It puts out an immense amount of heat, and I feel that Hawken should be fine in the upcoming cold weather. Finally, this weekend a shock of cold weather arrives, so I bought a portable propane heater and some extra gas to keep Hawken warm. I handed my camera to Paul several times, and this is one of the images he made. He is about to turn seven. 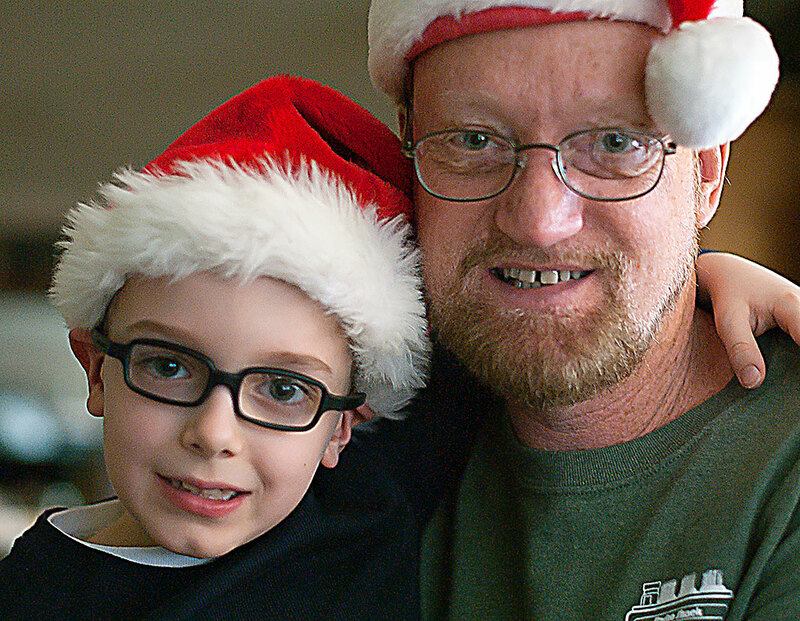 My grandson Paul and I pose for a photo. 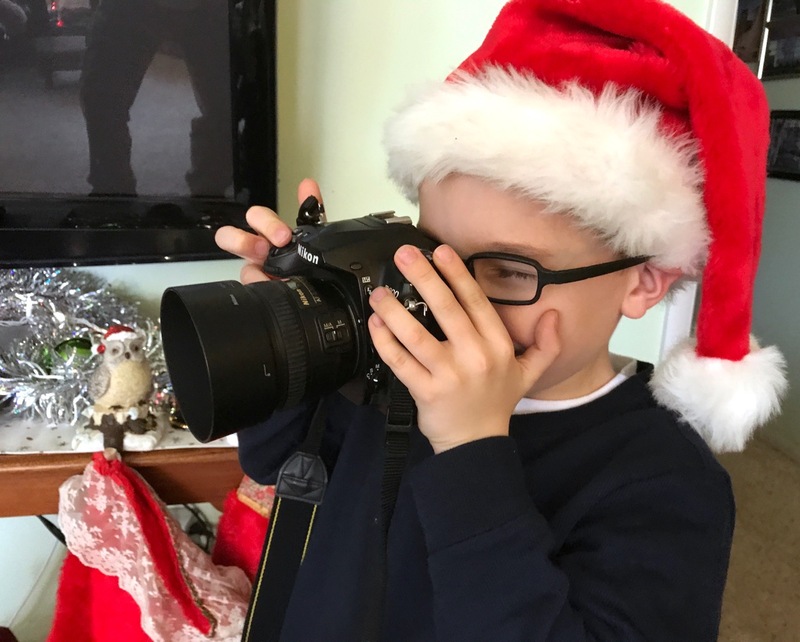 It was a fun Christmas for all, and we can’t wait to have them for a visit again. I’m so glad you’ve put the gifts to such fine use! Very sorry to hear about Chele’s diagnosis, but good to know she’s managing her disease. How cute is that photo of you and Paul? My brother, the grandad?!? Holy horse, that dog is huge. One gets the impression he hasn’t met much he can’t handle. Wow. Glad you had a great visit with family.